Guess what day it is…. hump day! It’d be pretty awesome if a camel wandered through our office. 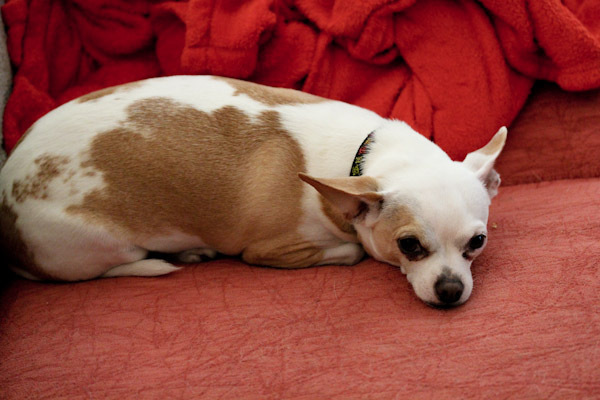 Miko seems to be in a slump today and a little frustrated with me for not paying enough attention to him. He’s happily at my feet now in his favorite mushy bed. But I needed a slump pick-me-up dinner and decided that should be chocolate soft serve with strawberries! I just love banana soft serve, so darn easy to whip up and customize and delicious. While being a little more nutritionally dense than traditional ice cream, a plus too. 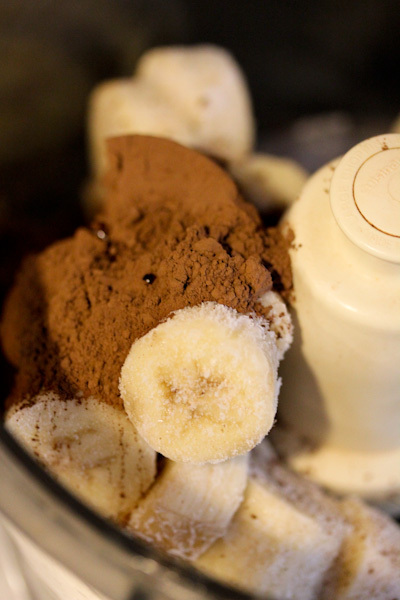 Place bananas, carob powder, and stevia into a food processor and process to a smooth and creamy “ice cream” texture. 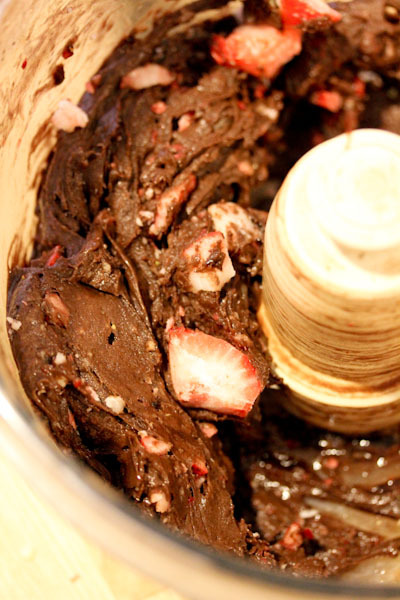 Add strawberries and pulse until chunks are blended into the mixture. Serve and enjoy! Makes 1-2 servings. 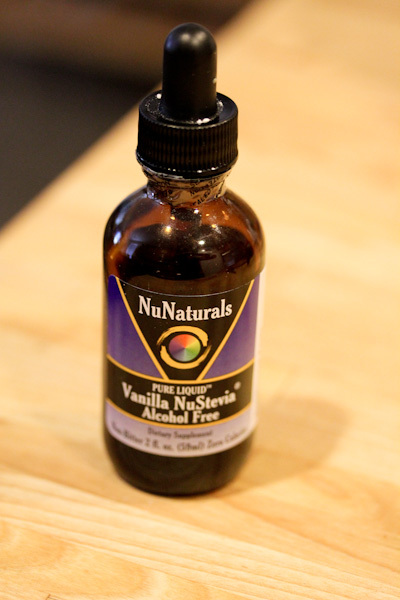 For the stevia, I used NuNaturals Pure Liquid Vanilla NuStevia, also great in smoothies and coffee. Four simple ingredients looked like a pretty amazing treat in the food processor. 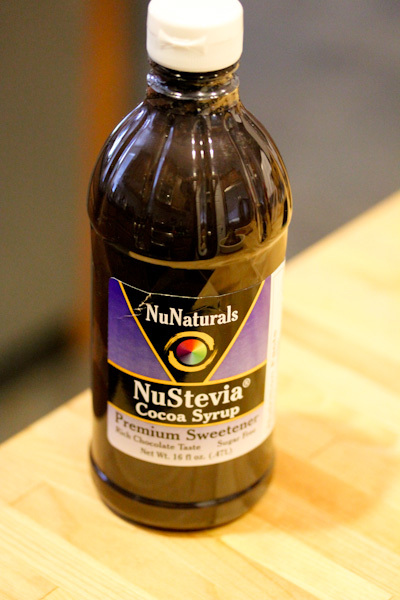 But I decided to top it with another NuNaturals product – NuNaturals Cocoa Syrup for added splurge. 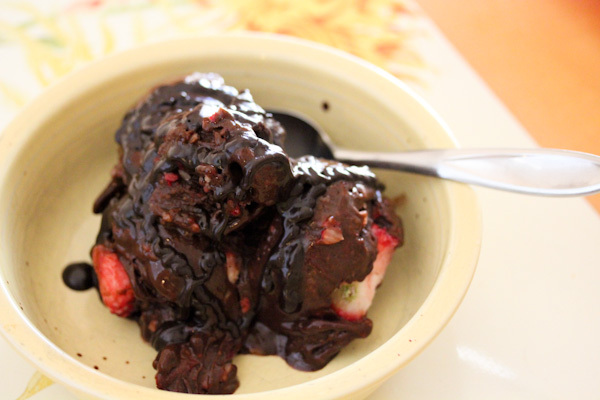 For a sugar free dessert, it was a decadent chocolaty treat and perfect after another day of triple-digit heat. MMM This is just what I need right now! Looks sooo good! Thanks and it’s so easy to throw together.